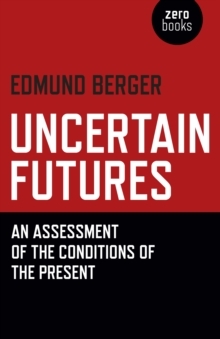 Uncertain Futures: An Assessment of the Conditions of the Present provides a detailed look into the economic and political conditions of our present moment from a Marxist perspective. Key aspects of Marxist economic theory are illustrated in clear ways in order to provide an easy introduction to Marxist thought and their applicability. The book also examines the sluggish recovery from the Great Recession, in the context of the long-term feasibility of sustaining the capitalist system by placing it into a historical framework. It considers the necessity of social democratic reforms while calling for an anarchic re-invigoration of the politics of everyday life.